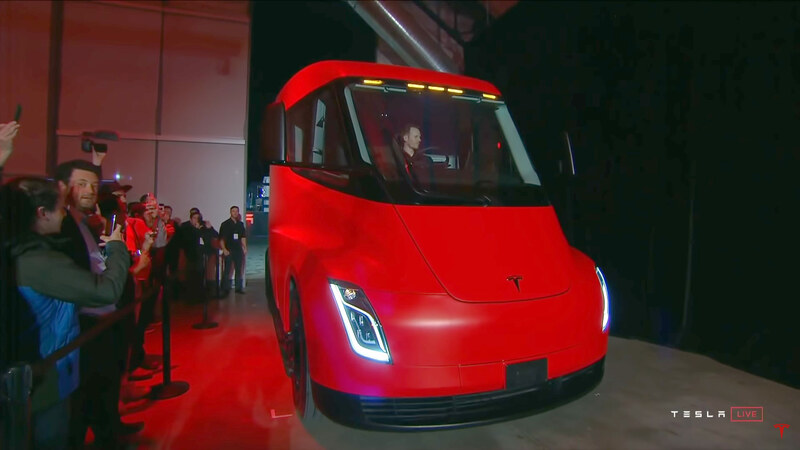 If you want to see the quietest and least polluting semi-truck in the history of humanity, look for the video below where it takes off to its journey, this time we see the silver Tesla Semi prototype again after a while, at the Model Y unveil Tesla presented the 300-mile range Tesla Semi which is in red color, was previously in black. 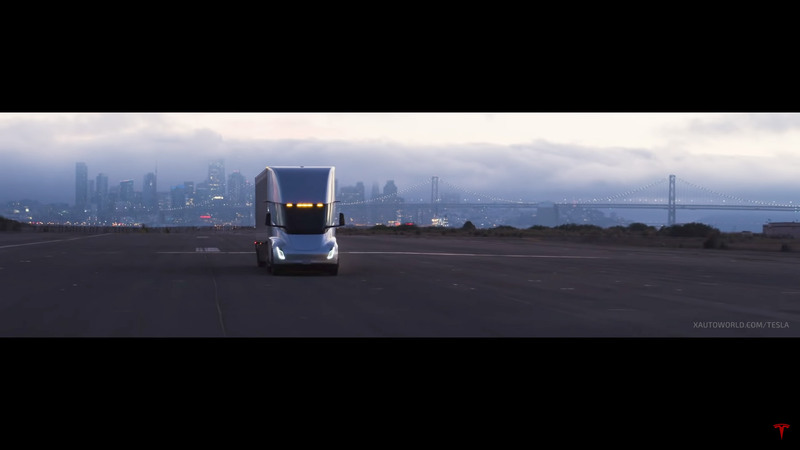 In their promo video at the Model Y unveil, Tesla also showed a short teaser clip in between many things they want to achieve in 2019, we got a couple of screen grabs for your viewing pleasure. 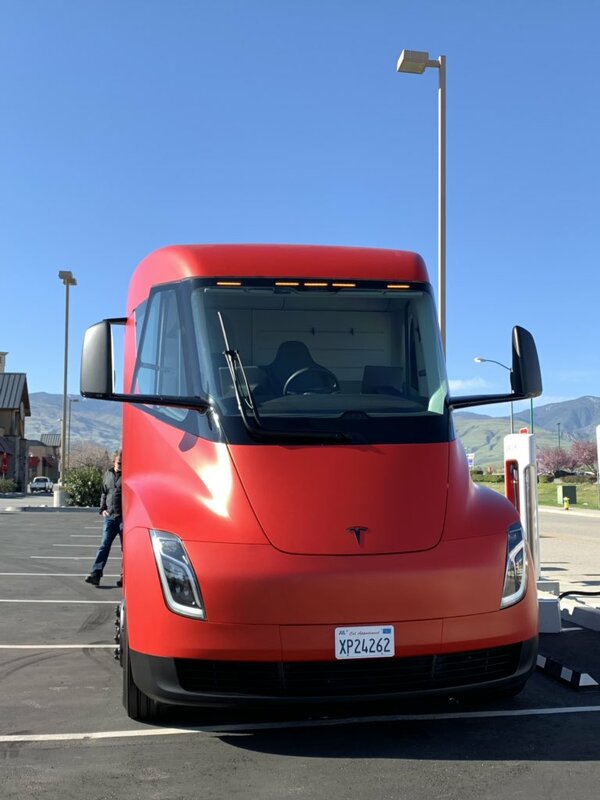 Electric buses and trucks are the most emission-free and climate-friendly mode of transportation even if they’re getting charged through the grid, the Union of Concerned Scientists explain this phenomenon in this article. 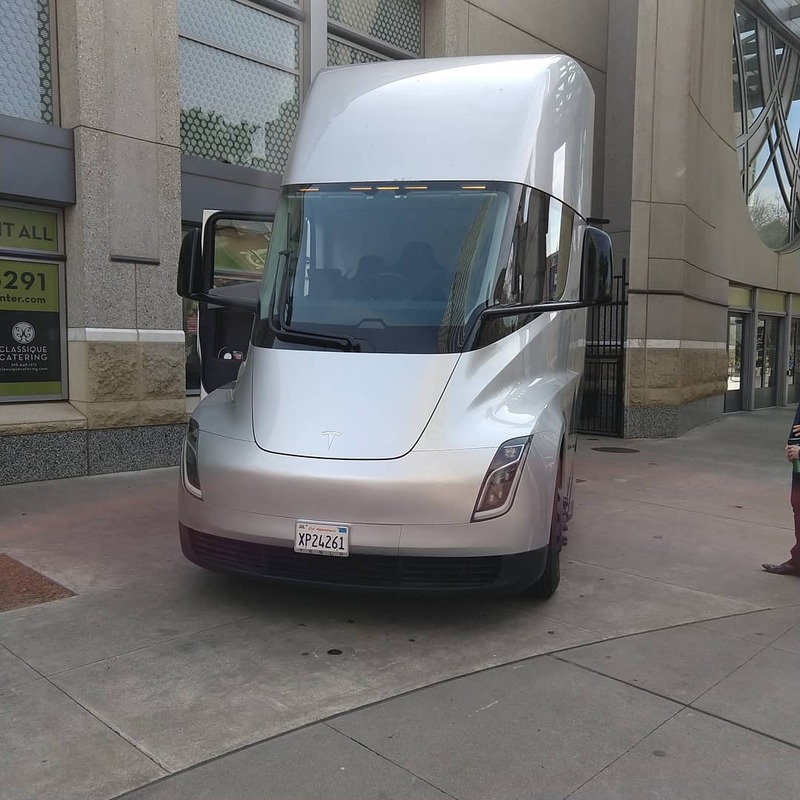 Jimmy O’Dea took the following short video clip of the silver Tesla Semi prototype which was at the time without a trailer attached (aka Bobtail mode) — according to Jimmy the Tesla Semi was leaving after a demonstration in Sacramento, CA. 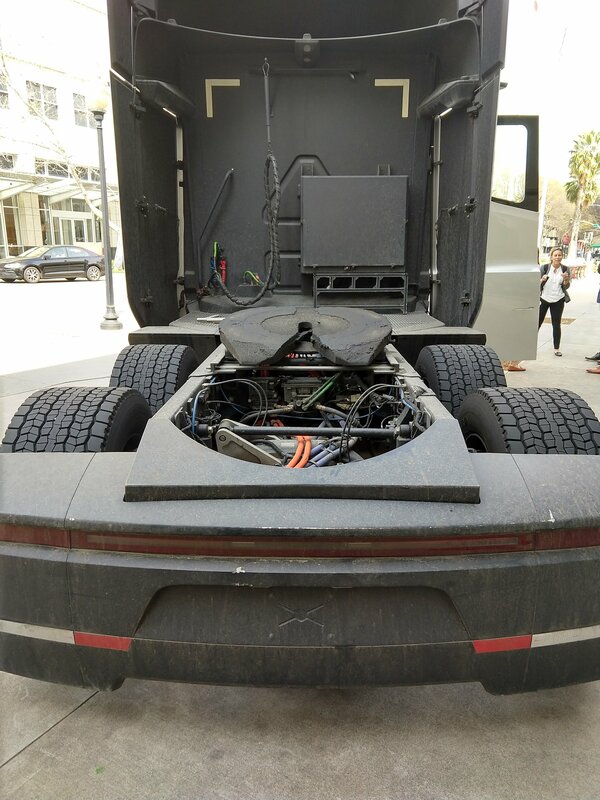 It was very quiet. 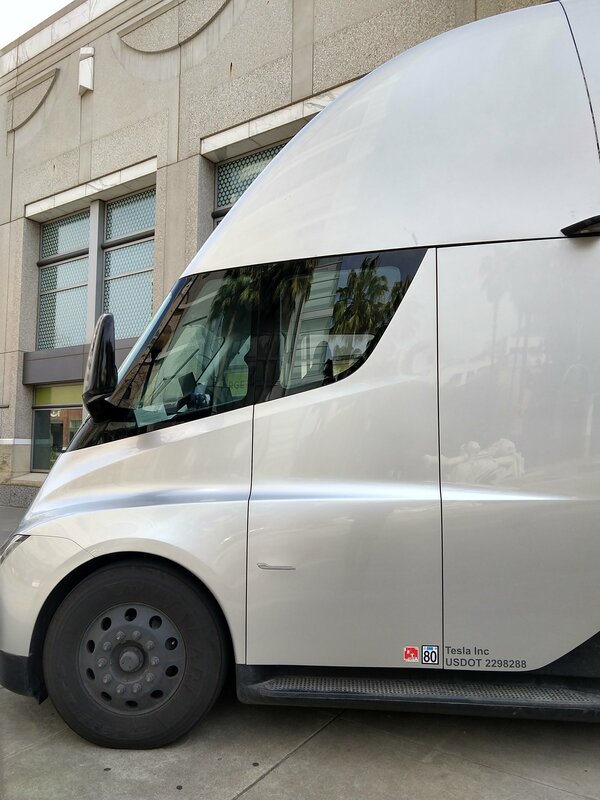 My phone 🎤 just picked up the little ambient and vehicle noise that was there. You can hear the tire going over the gravel at the very end for a sense of how quiet it was. 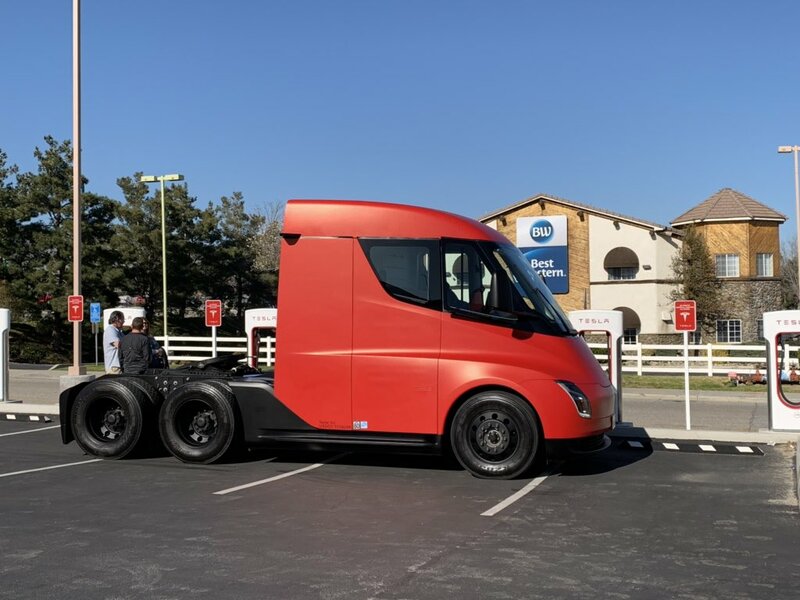 The red colored Tesla Semi truck was first seen at the Kettleman City Supercharger station at the end of last year, after that, a picture of the silver Tesla Semi-truck carrying a Model X on its trailer was shared by Tesla’s President of Automotive calling it an ‘Aircraft Carrier’, signaling Tesla’s future plans on using their electric semi trucks for vehicle transportation. 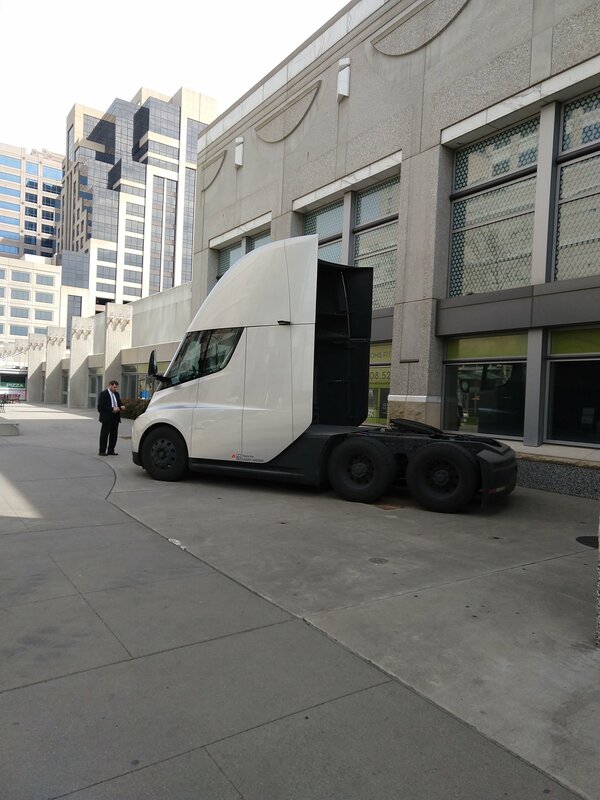 In the same discussion threat of the above Tesla Semi video, Andriy Newhouse shared pictures of the same truck from the front, rear and side-views at the same location. Douglas Han, on the other hand, was able to snap a couple of photos of the red Tesla Semi prototype while it was absorbing electrons at a Supercharger location, pretty amazing to say the least.